Over 1000 Garage Doors in Stock! Looking For Great Deals On Residential, Commercial, and Garage Security Services? We Offer Garage Door Expertise And 24/7 Emergency Services! Find out more about new technologies for opening our garage door and what type of mechanism will best suit your needs! Click To Download And Print Our Coupons! I've used Garage Door Experts twice. Once for a commercial installment, and again for my garage door at home. They offered excellent service and quick yet efficient installation. Quick response time! I was locked out of my garage and they arrived within the hour to help me get back in. Expert Garage Doors did an excellent job replacing the door and the opener for our two-car garage. Very professional, and a pleasure to work with! 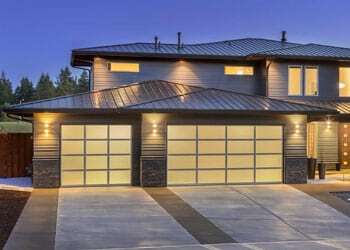 Why Choose Garage Door Experts? 'Because we care about our customers! 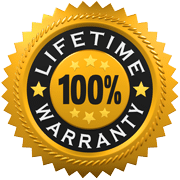 At Garage Door Experts, we pride ourselves on being the top rated residential and commercial garage door service provider in the North NJ area. Our team of garage door experts is licensed and dedicated to 100% customer satisfaction. If you need a new garage door installed for your home or you’re looking to have commercial garage door repair, you’ve come to the right place! At Garage Door Experts, we offer residential and commercial garage door installation, repair, replacement, as well as security. One of the other perks you can get with our company is security gates and security grilles. When we say we’re the garage door experts, we mean it! When you have a commercial or residential garage door you simply can’t rely on just lock and key. At Garage Door Experts we specialize in garage door security and mobile applications to control them. We use state of the art technology called Liftmaster Internet Gateway. This system can sync with your mobile phone, tablet, and computer. Garage door security has never been easier. Call Garage Door Experts today for a free quote about integrating garage door security in North NJ for your home or business! With every garage door whether residential or commercial, you need a reliable garage door opener in North NJ. At Garage Door Experts, we pay special attention to your garage door opener. This includes garage door openers of all types such as alternating current, direct current, chains, belts, and of course any garage door opener app! Right from the installation process, we’ll advise you on the best garage door opener for your home or business. We’ll then install the garage door opener and ensure it’s working efficiently. Should anything go wrong with your garage door opener, we’ll fix or replace the dc motor, ac motor, the chains, or any belt. When you have a commercial or residential garage door you simply can’t rely on just lock and key. At Garage Door Experts we specialize in garage door security and mobile applications to control them. We use state of the art technology called Liftmaster Internet Gateway. This system can sync with your mobile phone, tablet, and computer. Garage door security has never been easier. Call Garage Door Experts today for a free quote about integrating garage door security in North NJ for your home or business! 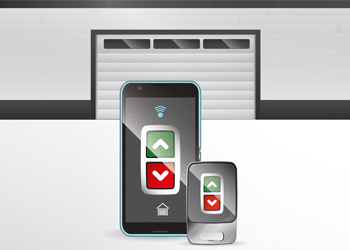 If you choose to utilize a digital garage door opener like the Liftmaster Internet Gateway, we’ll be happy to set it up for you. In addition, we can show you how best to use the app and how to sync it with MyQ. Liftmaster works with wifi, syncs with Nest, and can be used on any smart device. 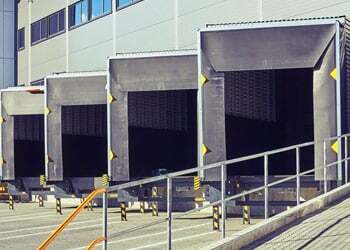 Owning a company can be exciting and you shouldn’t have to worry about your commercial or industrial garage door failing to work. Garage Door Experts has the most affordable and efficient commercial garage door services in North NJ. We can repair, replace, and install rolling steel, aluminum, wood, and vinyl to name a few. Your business will be in good hands when you call Garage Door Experts for all your commercial or industrial garage door needs. Our services are budget-friendly and will meet all your security preferences.